It is time to welcome our winged guests. With the onset of winter, the wetlands of the country started to become alive with their arrival. 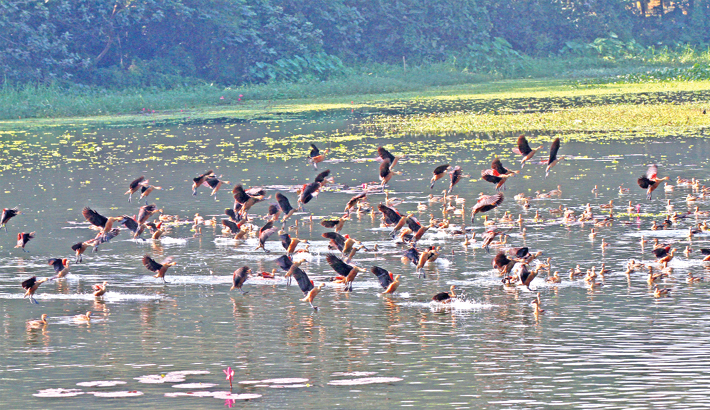 Their chirps have already livened up the atmospheres in and around marshy areas, including Hatirjil and Jahangirnagar University lakes. This stunning creature is a joy to behold. And bird lovers have started flocking these areas in their droves. But while enjoying their presence we must not forget that they have flied in all the way from Siberian regions to escape unbearable cold there. So, we must present them a comfortable sojourn here.